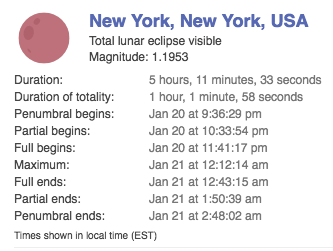 They have something BIG planned for this total lunar eclipse, but so do we! Calling all Lightworkers! The Day of Reckoning is at Hand. Have you noticed it? Something has really changed in 2019. Some might be able to follow events in the political arena and others the environmental domain. Some folks are abreast of major developments in the health and wellness realm, and there are those who follow astrophysics breaking news closely. However, the meteoric changes taking place across all spheres of life is now occurring at warp speed so staying ahead of the learning curve is practically impossible. One area in particular is experiencing great flux as many of the most significant pieces of human history are being rewritten. Because history is always written by the victors, many of the over-arching narratives were highly skewed and in countless cases outright fabricated. Hence, a massive re-write is occurring in real-time. This ever-intensifying predicament has created an untenable situation for The Powers That Be (TPTB) who currently rule the world. Because TPTB have found this rapidly evolving situation unacceptable they are quite busy attempting to lock down the planet. And they really do believe that can achieve that ambitious goal. And because of the things like the free-fall collapse of the European Union, TPTB are getting extremely desperate. This is precisely why the globalists have demanded that Big Tech and Big Social Media completely censor the Internet whenever they can get away with it. In America, these blatant violations of the First Amendment — IN BROAD DAYLIGHT — are transpiring fast and furiously by the week. Regardless of who really created the Internet and why they did it, it is regular human beings that are using it with great activity and purpose. Each person will lean toward the truth or falsehood depending on their nature and their karma. Good folks will always lean toward using the gift of the Internet to do good, while those without conscience will do the opposite. Therefore, those who now control the Internet are in the process of minimizing its use for those who want to disseminate the truth. They are especially determined to exert complete control over the swiftly manifesting Internet of Things. Because once this new technospheric society is overlaid on top of the whole civilization, everyone will be held captive by it. Just consider that every device, every appliance, every vehicle, every home, every business will be smart and completed integrated into the Internet of Things. Smartphones are already very smart, so it ought to be easy to imagine how smart a home will be when they are built that way universally. It doesn’t take too much understanding to realize that the Internet of Things is based on a revolutionary paradigm that is rooted on a few basic components. Not only is there the Internet and all of the IT devices that are used to access it, there is also 5G that will be used to power it around the globe. Consequently, humankind will be exposed to a much more powerful and invasive technological paradigm than at any other point in recorded history. For the uninitiated, the following intro and overview is definitely worth the read. Once anyone grasps the true gravity and enormity of this ongoing transformation of societies everywhere, they will comprehend the absolute necessity of shutting down the highly invasive 5G roll-out…before it shuts us down. Telecommunications companies worldwide, with the support of governments, are poised within the next two years to roll out the fifth-generation wireless network (5G). This is set to deliver what is acknowledged to be unprecedented societal change on a global scale. We will have “smart” homes, “smart” businesses, “smart” highways, “smart” cities and self-driving cars. 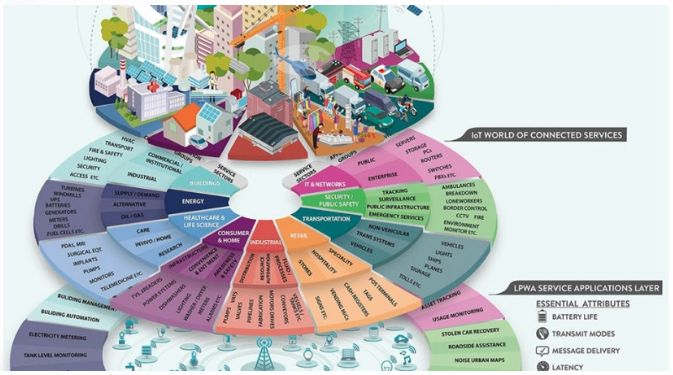 Virtually everything we own and buy, from refrigerators and washing machines to milk cartons, hairbrushes and infants’ diapers, will contain antennas and microchips and will be connected wirelessly to the Internet. Every person on Earth will have instant access to super-high-speed, low-latency wireless communications from any point on the planet, even in rainforests, mid-ocean and the Antarctic. For we have reached crucial junction points — in every realm — where the civilization is about to exceed thresholds also known as “critical points of no return”. For example, the Global Economic & Financial System (GE&FS) is another worldwide paradigm that is close to collapse. Because it no longer works and it no longer serves humanity in a manner that affirms life, the GE&FS has totally outlived its usefulness. Hence, the whole world now witnesses regular stock market crashes and other alarming gyrations that reflect profound systemic defects. The global energy paradigms provide another example of systems that are so fatally flawed they threaten to plunge the planet into World War. Hydrocarbon fuel, coal, nuclear and hydroelectric each has their fatal flaws that have deeply impacted nations everywhere. The extremely volatile state of the Middle East perfectly portrays the dangers and deficiencies associated with the hydrocarbon fuel paradigm (Oil & Gas Industry). That entire region is a powder keg that can blow anytime so combustible are the resource wars. In fact, the political tensions and military conflicts are now so great and so numerous that they can easily coalesce into regional wars, or worse, a World War III scenario. Most are blissfully unaware that we have been immersed in the cold phase of WW3 since the staged terrorist attacks of 9/11. Therefore, the stage has been set for the hot phase of a Third World War at any time. The NWO globalists are actually planning and engineering such an eventuality. Never in this Third Millennium has there been such an urgency to bring together every good soul and spirit in the interest of averting the aforementioned catastrophes. Each one in its own right will result in cataclysms beyond comprehension. Hence, there is an overwhelming need to prevent them from unfolding in any manner, especially those that are too disruptive. It’s been said on this website many times over the years that “prophecy is uttered to avert catastrophe, not predict it. Well, guess what, that’s right where this tract of humanity is at this very moment. We can all just sit back and do nothing in a self-imposed state of powerlessness and hopelessness. Or, we can each do our level best to preclude the imminent “Phoenix Moment” from being too devastating to people and planet alike. What’s it going to be? The real purpose of this commentary was not to enumerate what ails humanity and assaults the planet. We are way beyond that point. Where we used to be a minute to midnight, we are now seconds away. Therefore, this ardent request is being floated to compel every lightworker within Internet reach to put on your wings and grab your light-sword. Then, begin to wield it to the best of your God-given ability. Many of us are doing this right now. However, what we are proposing is the purposeful spiritualizing of one’s work, whatever that may be. In other words, there are many high beings who are suffering from various infirmities which severely limit what they can and cannot do. Some of them have transformed their homes into monasteries and convents, churches and temples, ashrams and meditation caves. In this way they have cultivated a life of prayer and singing to God in the interest of world peace. Others continuously pray for the healing of racial strife or religious differences. The bottom line here is that everyone can simply do what they are compelled to do. Those who can only pray can pray like there’s no tomorrow. That’s because heartfelt prayer invokes divine intervention like nothing else, which is what the world direly needs today. There are many other powerful spiritual practices that can be performed throughout 2019. Whatever anyone is urged to do by the Higher Power is needed more than ever. Prayerful supplication of the Lord is particularly effective in drawing down the grace and blessings that those on the front lines urgently need to do their hard and perilous work. So is focused chanting and singing God’s name to ensure the best possible outcomes for the world-at-large during these exceedingly challenging times. Offering selfless service or donations to a noble cause is another way to support those who really need it throughout this difficult period. 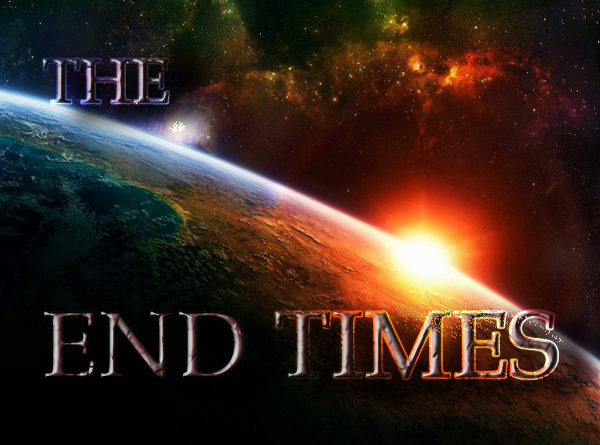 It’s entirely true that we are experiencing the End-times that have been prophesied since time immemorial. Every day that passes brings us closer to the proverbial “Day of Reckoning”. However, there are an infinite number of ways that these predicted events can unfold. The state of the global collective consciousness — at every moment in time — will have an enormous effect on the actual outcomes. With this awareness, each and every soul has impact on how these End-times will evolve. For it is both the potent intentions of both the individual and collective which will determine the future of the human race. While there are some at the top of the food chain who are hell-bent on enslaving the global populations, there are far too many people who seek liberation from the plantation owners. When viewed in the aggregate, the good intentions for righteous outcomes far outweigh the small-minded of a relatively few evildoers. For this reason alone it’s time to put our hands together in humble supplication and pray to God Almighty for His immediate intervention. Whether one is Christian or Hindu, Jewish or Moslem, Buddhist or Pagan, atheist or agnostic, this is the season to pray like there’s no tomorrow … … … because there may not be a tomorrow if we don’t quickly align ourselves with the Divine will. Very few are aware, but the period of a total lunar or solar eclipse is actually an excellent time to do our most powerful spiritual practices. These cosmic events provide a unique window of opportunity to advance oneself considerably on the spiritual path. Likewise they present an exceptional time to offer special intentions for mundane matters. Without the foundation of planet Earth to support our endeavors, both spiritual and worldly, what would become of humanity? What might the quality of life look like in the aftermath of a nuclear war, for instance? No, not a pleasant thought at all which ought to compel every reader to redouble our efforts on any level which serve to effectuate positive and life-affirming circumstances for every human being. Really, aren’t we all in this crucible together? The best thing we can do, then, is to at least try to get along. If enough folks aspire to do just that, the dark side cannot enlist many for their unending schemes and scandals. Any organization that cannot effectively recruit simply goes away. Given the current level of planetary crisis, most folks want to work together to overcome the obstacles that will surely become more perilous by the year. A total lunar eclipse truly presents a doorway into a bright and beautiful future if a sufficient number of practitioners take advantage of it. Because the upcoming Blood Supermoon on January 20th and 21st will occur while it is in the sign of LEO, the energies will be extra powerful and reflective of a loving and open heart. These potent leonine energies could not be more perfect during this pivotal juncture that demands cooperation and collaboration among all the peoples of the world. 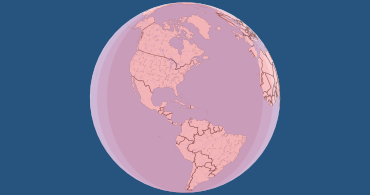 What is particularly noteworthy about this highly consequential lunar eclipse is that a total blackout of the moon will occur over all of North and South America. 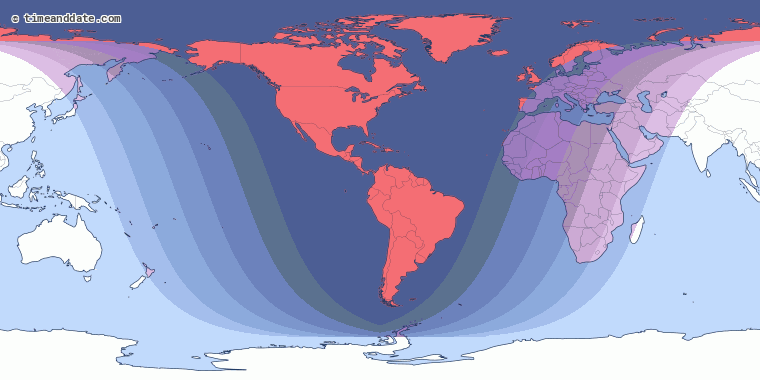 The following eclipse map indicates that this is a tailor-made event for the entire Western Hemisphere so the effects will be experienced powerfully throughout that geographic area. It has never been so imperative to invoke the grace of the Supreme Being. When the following list is considered by every resident of planet Earth, it becomes clear that the biosphere is at the breaking point. And, that assistance from the transcendent realms is our only way through this “eye of the needle”. In closing, our best recommendation to every lightworker (Is there anyone reading this who is not a lightworker?) is to flip your own light switch so that you shine brightly in the world. Illuminating the prevailing darkness is, of course, our main mission while there is still time to change course. There are many who are blissfully and/or willfully unaware of these multifarious phenomena occurring in their very own back yards. These are the folks who will need the most edification and enlightenment about the true status of things. 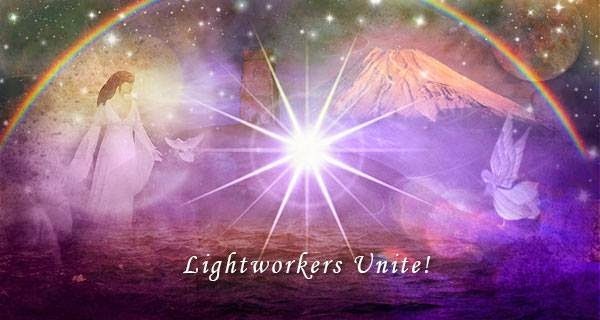 Each lightworker is actually a beacon of light and transmitter of the truth who will anchor their conscious luminosity wherever it’s needed most.